You can add even more realistic zombie wounds to your zombie costume with this officially licensed Walker Wound Assortment Pack. This assortment pack offers three separate flesh wound prosthetics that display grotesque detail. Based on numerous pictures from the various Walking Dead seasons, these prosthetics are sculpted to be the ultimate replication of wounds from the show. The skin on these fake injuries looks horribly infected and painful. Any of the three wounds will cover a swatch of skin with an infected look. 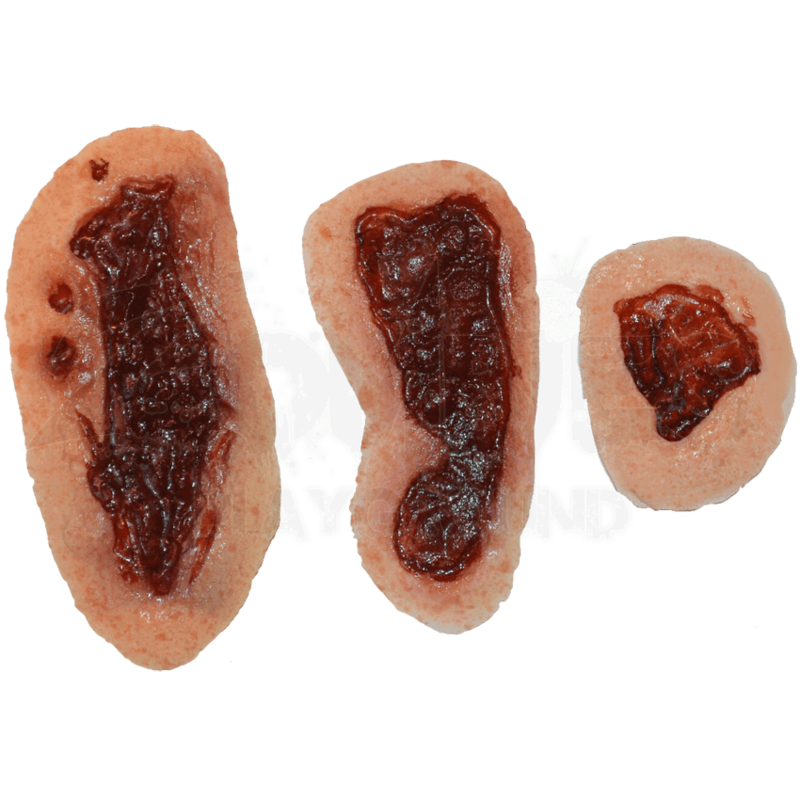 Perfect as a Halloween accessory, these fake wound prosthetics can be applied simply and easily. Please note, however, that adhesive is not included, but can be found for purchase on this site. These fake wounds are perfect for taking your zombie costume to the next level.